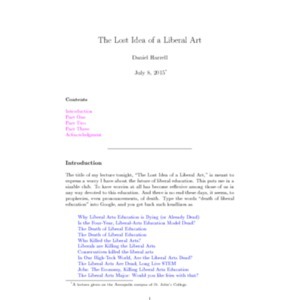 Typescript of a lecture delivered on June 17, 2015 by Abraham Greenstine as part of the Graduate Institute Summer Lecture Series. 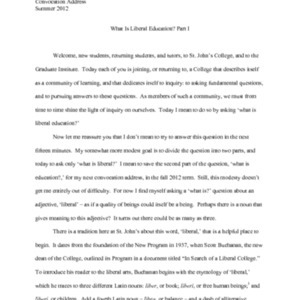 Typescript of a lecture delivered on June 20, 2012 by Jeff Black as part of the Graduate Institute Summer Lecture Series. Courage, insight, sympathy, solitude: the genealogy of the noble type in part nine of Beyond good and evil. Audio recording of a lecture delivered on August 01, 2012 by Lise van Boxel as part of the Graduate Institute Summer Lecture Series. Audio recording of a lecture delivered on July 01, 2015 by Steven Crockett as part of the Graduate Institute Summer Lecture Series. Audio recording of a lecture delivered on July 8, 2015 by Daniel Harrell as part of the Graduate Institute Summer Lecture Series. Audio recording of a lecture delivered on July 03, 2014 by Andrea Radasanu as part of the Graduate Institute Summer Lecture Series. 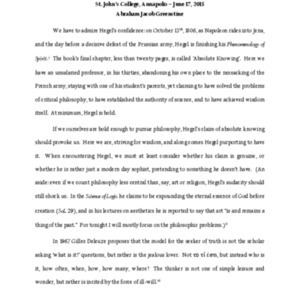 Typescript of a lecture delivered on July 8, 2015 by Daniel Harrell as part of the Graduate Institute Summer Lecture Series. 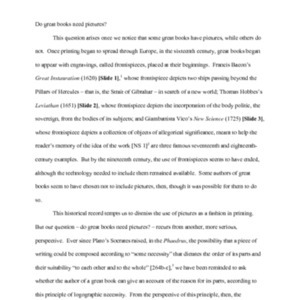 Typescript of a lecture delivered on July 01, 2015 by Steven Crockett as part of the Graduate Institute Summer Lecture Series. 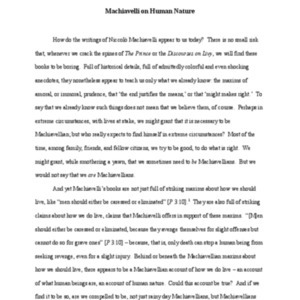 Typescript of a lecture delivered on June 19, 2013 by Jeff Black as part of the Graduate Institute Summer Lecture Series. 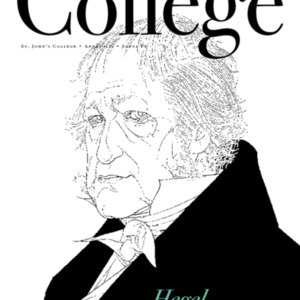 Volume 4, Issue 1 of the The College Magazine. Published in Winter 2008. 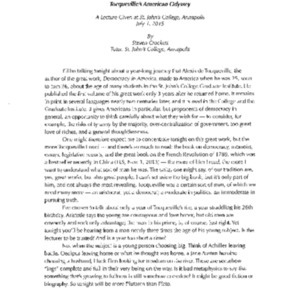 Typescript of the convocation address for the Graduate Institute given by Marilyn Higuera for the Fall 2009 semester in Annapolis, MD. Typescript of the convocation address for the Graduate Institute given by Marilyn Higuera for the Fall 2010 semester in Annapolis, MD. Typescript of the convocation address for the Graduate Institute given by Jeff Black for the Fall 2011 semester in Annapolis, MD. 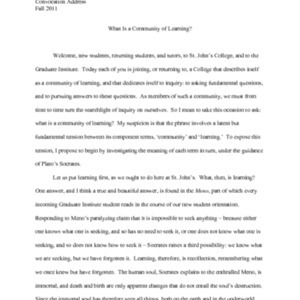 Entitled "What Is a Community of Learning?" Typescript of the convocation address for the Graduate Institute given by Jeff Black for the Fall 2012 semester in Annapolis, MD. Entitled "What Is Liberal Education? Part II" in Annapolis, MD. 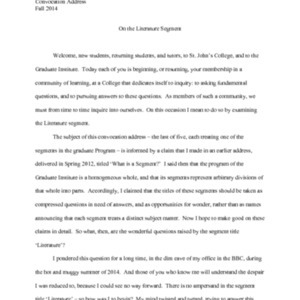 Typescript of the convocation address for the Graduate Institute given by Jeff Black for the Fall 2013 semester in Annapolis, MD. Entitled "On the Mathematics & Natural Sciences Segment" in Annapolis, MD. 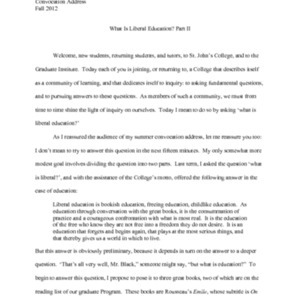 Typescript of the convocation address for the Graduate Institute given by Jeff Black for the Fall 2014 semester in Annapolis, MD. Entitled "On the Literature Segment" in Annapolis, MD. 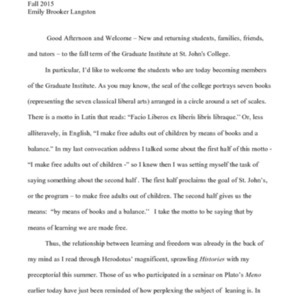 Typescript of the convocation address for the Graduate Institute given by Emily Brooker Langston for the Fall 2015 semester in Annapolis, MD. 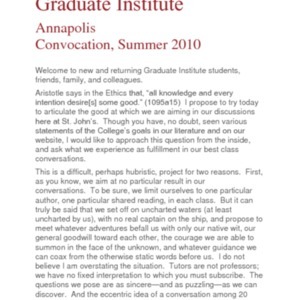 Typescript of the convocation address for the Graduate Institute given by Marilyn Higuera for the Summer 2010 semester in Annapolis, MD. 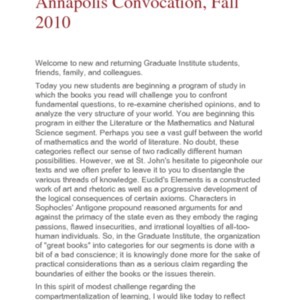 Typescript of the convocation address for the Graduate Institute given by Jeff Black for the Summer 2011 semester in Annapolis, MD. 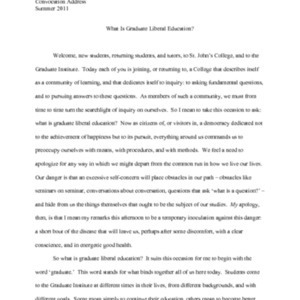 Entitled "What Is Graduate Liberal Education?" 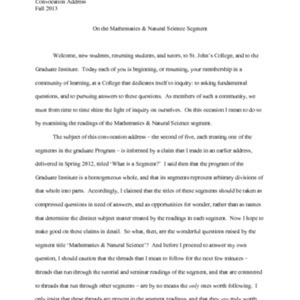 Typescript of the convocation address for the Graduate Institute given by Jeff Black for the Summer 2012 semester in Annapolis, MD. Entitled "What Is Liberal Education? Part I" in Annapolis, MD.